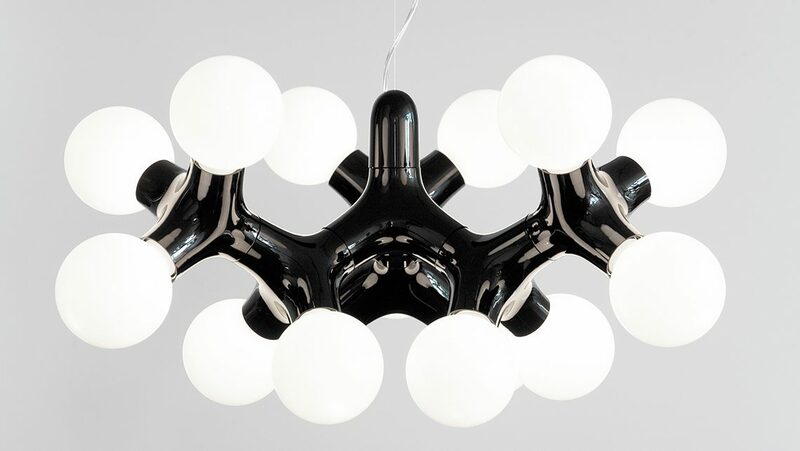 Like an organically growing structure, the complex form develops out of a suprisingly simple element. 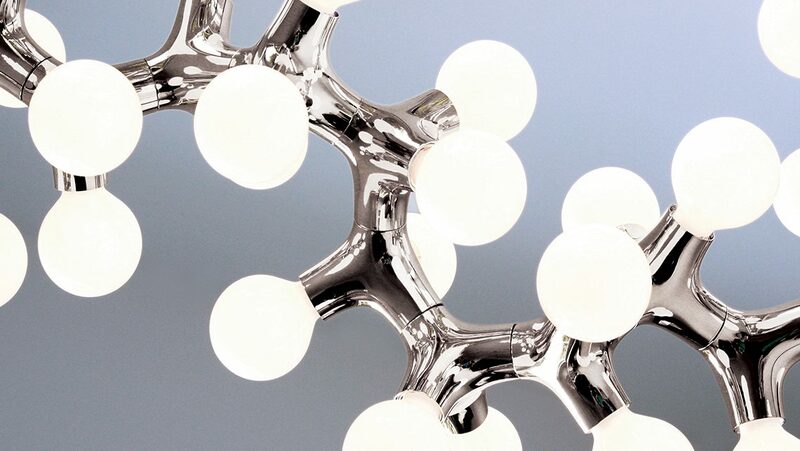 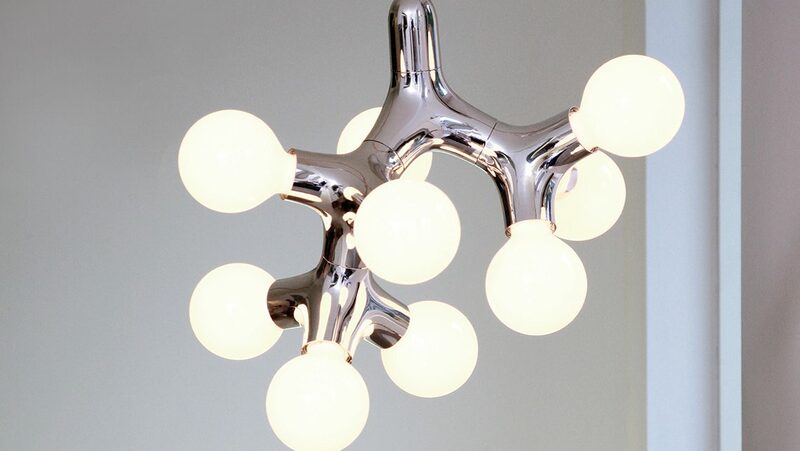 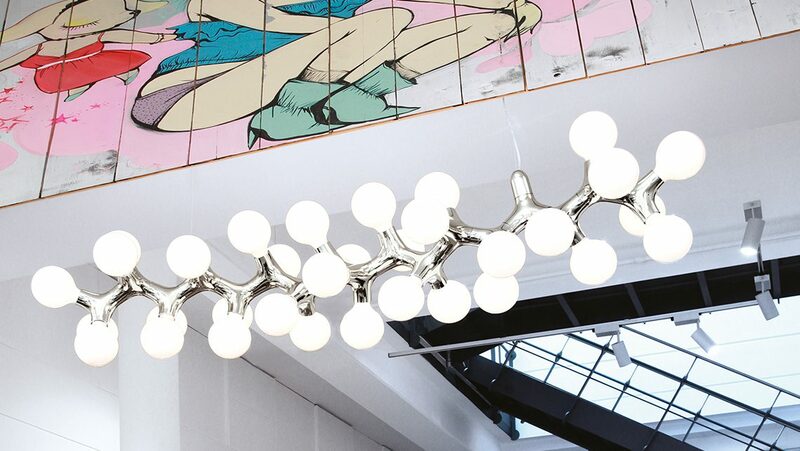 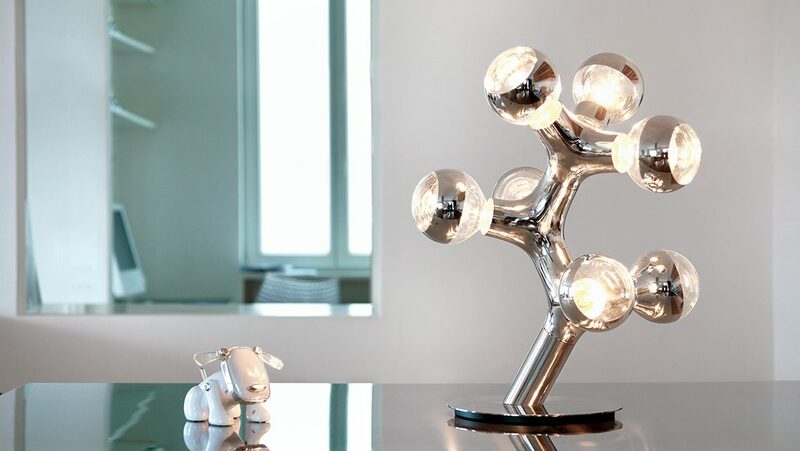 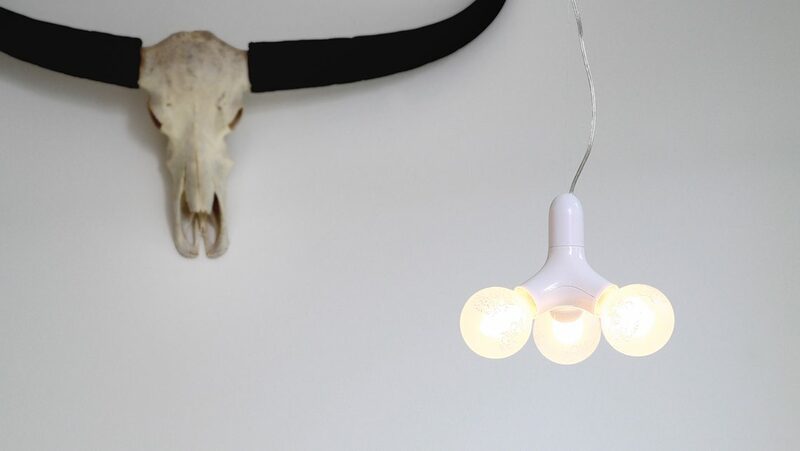 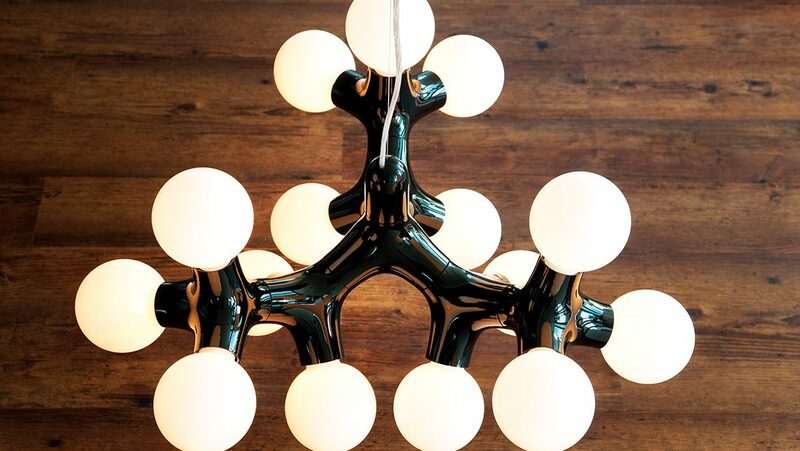 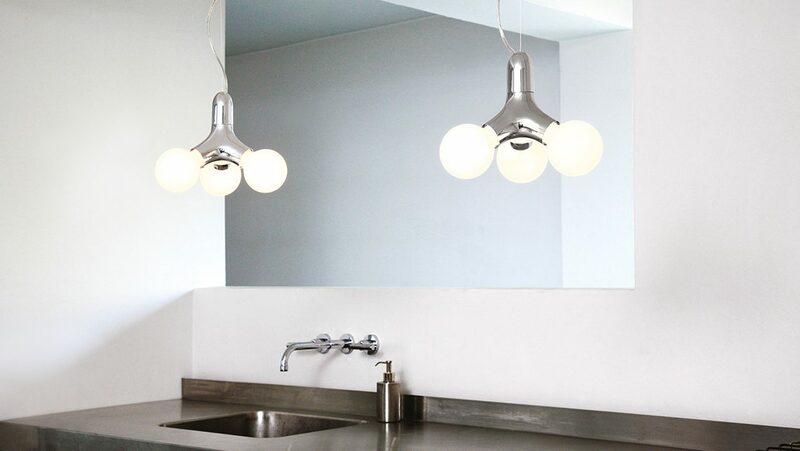 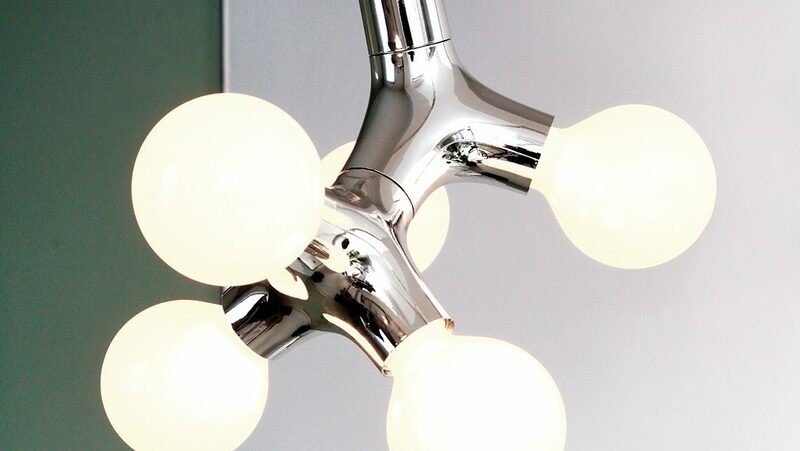 White, pink and chrome plastic modules – each with three light bulbs – can be added to each other, so the ligthing object can vary in size, from a single format up to a chandelier. 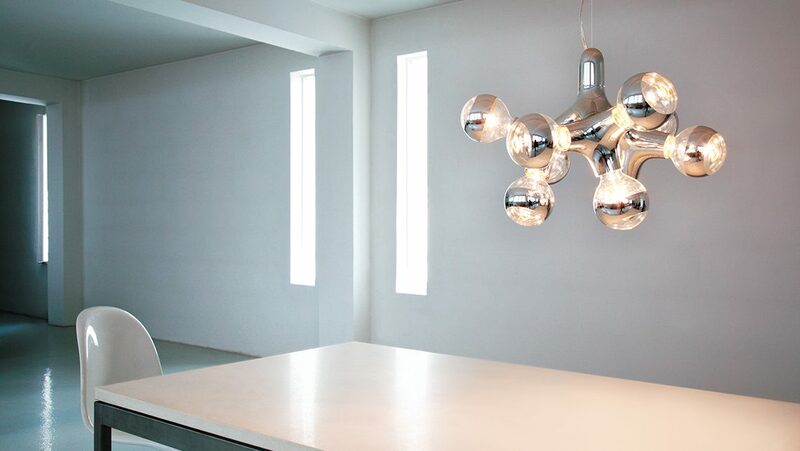 You have the choice between seven different assembled pendant versions, a table version, a wall/ceiling version or, alternatively, a customized solution according to your needs.